How Does Treadmill Financing Work Exactly? With the economy being what it is, it is good to know you can get treadmill financing to spread out the payments of a new cardio machine. With deferred or no interest to pay for months, the offers are worth looking into. 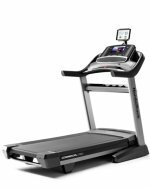 Most of the ICON Fitness brands offer some kind of financing on new treadmills, including NordicTrack and ProForm, the two most popular and best selling brands they offer. They also have financing options for HealthRider, FreeMotion, Image, Weslo, Reebok, and Gold’s Gym treadmills. Icon Financing uses Paypal Credit, with 6 months (180 days) of deferred interest and deferred payment when you spend at least $500. In other words, you make no payments for 6 months, and then pay the balance in full by the due date to avoid the finance charges. Interest accrues and will be added to your balance if you do not the pay in full by the expiration date of the special terms. (APR will be 19.99% variable.) Payments will then be calculated at 3% of the total or $25, whichever is greater. Shipping charges (if any) and taxes can be financed along with the treadmill. A second treadmill financing option is 18 months of reduced payments and interest when you spend at least $1000. Pay 1.5% of the highest account balance and the APR is reduced to 19.99%. The balance must be paid by the expiration date of the special offer. UPDATE: As of 2016 ICON is no longer offering Paypal Credit, having switched over to Fortiva Retail Credit. You can pay for your treadmill over 12 months, and as long as you make your minimum payments each week you won't be charged anything extra. Note: Other manufacturers are working on special treadmill financing offers but it may not be available when you are ready to buy. Many of the other big players now offer treadmill financing as well as they realize the need to give their customers more payment options. Johnson Health Tech, which manufactures Horizon, Vision and Matrix treadmills, offers FuturePay, a program that allows you to buy a treadmill now and pay for it later. Payments start as low as $25 per month. 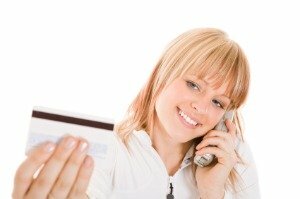 Sole Fitness now offers Paypal credit as well, with a pay over time option over $98.99 and no payments or interest if paid in full in 6 months with a $99 or higher purchase. Yowza Fitness offers the same exact policy. Bowflex offers the Bowflex Credit Card, allowing you to pay over a period of 18 months with no interest. At Amazon, you can also get instant credit and be issued an Amazon Store Credit Card by filling out their simple application. Credit approval usually takes less than 30 seconds. There is no annual fee for the Amazon credit card, and they have exclusive treadmill financing offers such as No Interest for 6 months, 12 months, or 24 months, depending on the qualifying purchase. The card also provides Zero Fraud Liability, which means you are not held responsible if there are unauthorized charges made on your account. Minimum monthly payments are required with all offers, and interest will accrue from the date of purchase if the balance is not paid in full within the specific offer’s time period.